I’ve nagged about it here, and here, and here. So I wouldn’t blame you if you laugh at me for saying… This is the year I finish this quilt! Hand pieced and hand quilted, I fell out of love with it as time went by. These days I go for brighter colors, so this fabric palette seems dull to me now. 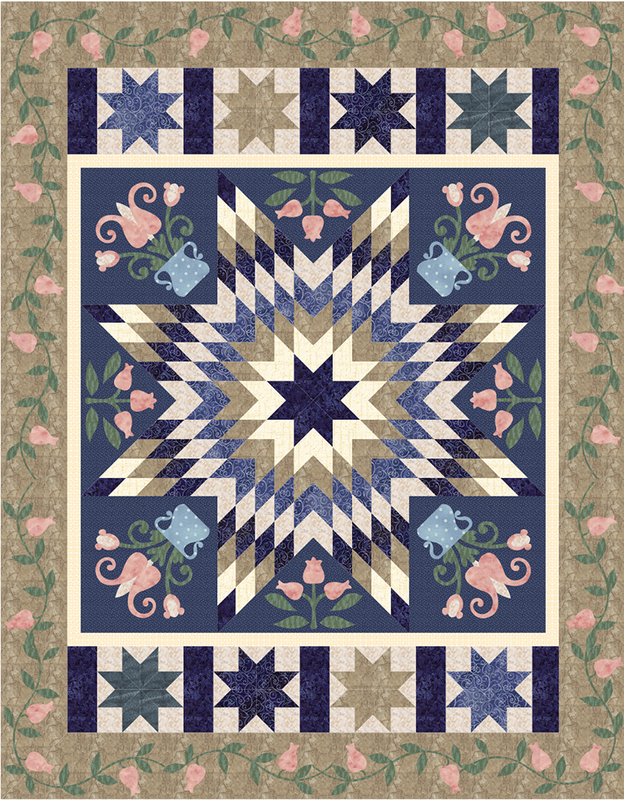 I had initially intended to hand quilt a floral design in the corner squares and triangle spaces, but then decided to add some applique designs instead, in order to liven it up a bit. So I went ahead and finished quilting it in a grid pattern and all that is left now is to finish the borders and add the applique… And I am really unsure again as to what to do. Should I leave it as is or add the applique? If so… is the applique too much and would detract from the Lone Star design? Here is the quilt so far, with a drawing of what I thought I would applique. Decisions, decisions! Opinions and suggestions are very much appreciated! Your quilt is beautiful Angie! I have wanted to try one like this for some time. Congrats on completing it! 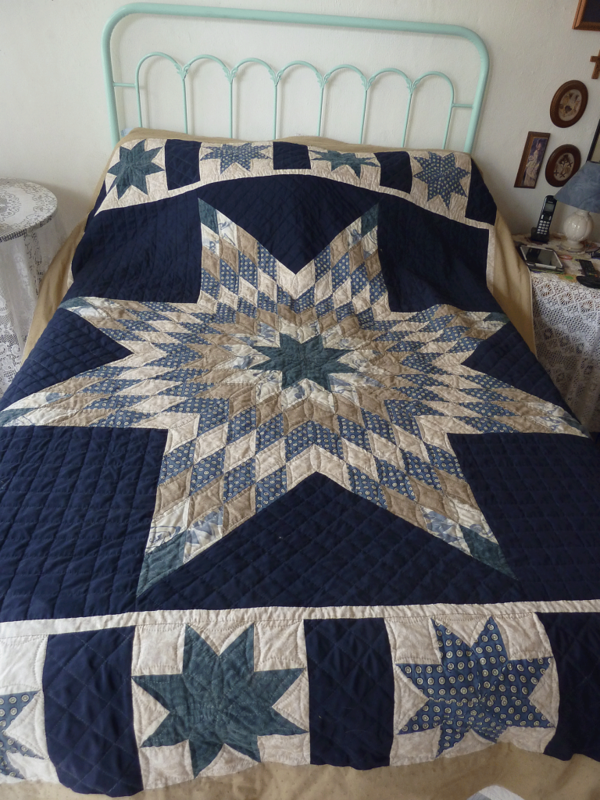 My bucket list of quilts to make is quite large…so many, where do I start? 🙂 Glad you finally finished. I had a few that kept creeping back into storage. I finished a few, with a few to go yet. Progress!!!!! Yes, yes! Add the applique! The lighter colors in the applique brighten it up. It will be a knockout. SO glad you’re back to blogging. I love applique. I think your design is lovely but too busy. Maybe less or smaller applique pieces.